The U.S. Senate is considering a bill that would classify WikiLeaks as a “non-state hostile intelligence service” bundled as part of the 2018 Intelligence Authorization Act. Presumably, that classification would authorize the use of force against WikiLeaks. “It is the sense of Congress that WikiLeaks and the senior leadership of WikiLeaks resemble a non-state hostile intelligence service often abetted by state actors and should be treated as such a service by the United States,” a section of the Act reads. The Act almost unanimously passed a Senate panel last month 14-1, rejected by only one man, Sen. Ron Wyden, an Oregon Democrat who staunchly opposed the measure due to the provision that was snuck in about WikiLeaks. “The use of the novel phrase ‘non-state hostile intelligence service’ may have legal, constitutional and policy implications, particularly should it be applied to journalists inquiring about secrets,” said Senator Wyden. Attorney General Jeff Sessions previously said in April that the arrest of WikiLeaks’ publisher Julian Assange was a “priority” for the DOJ. “We are going to step up our effort and already are stepping up our efforts on all leaks,” he said. “This is a matter that’s gone beyond anything I’m aware of. We have professionals that have been in the security business of the United States for many years that are shocked by the number of leaks and some of them are quite serious. So yes, it is a priority. We’ve already begun to step up our efforts and whenever a case can be made, we will seek to put some people in jail,” Sessions said. Meanwhile, CIA Director Mike Pompeo has regularly labeled WikiLeaks a “non-state hostile intelligence service,” the same term used in the Senate bill. WikiLeaks, an international non-profit whistleblowing organization, has leaked at least 10 million classified documents to date from various governments including the United States. In 2016, the group published a number of documents and emails from the Democratic National Committee (DNC) and Hillary Clinton’s campaign chair John Podesta that suggested the DNC deliberately tried to discredit presidential candidate Bernie Sanders over then-Democratic nominee Hillary Clinton. Julian Assange, WikiLeaks’ publisher, is currently holed up in the Ecuadorian embassy in London, where he has been illegally detained in arbitrary detention, according to a UN panel. 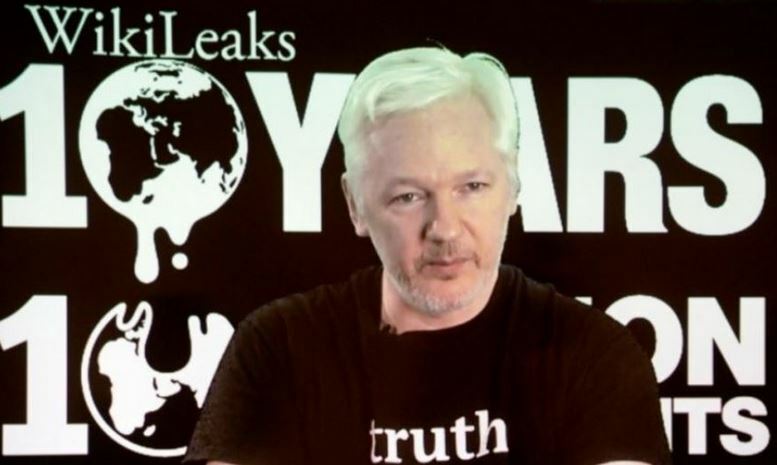 Assange has been held against his will, isolated from his children, since June 2012. He faces extradition to Sweden to face sexual assault allegations that have been repeatedly dismissed, and is an investigation that’s since been dropped by Swedish prosecutors. The other aim of the bill is to assure that all secret and clandestine missions are approved by the president and that Congress is made aware of all military operations.